I’m not 100 percent sure, but I bet that the only ones who would tell you anything different are the companies that add sugar to their products. Added sweeteners quickly boost calorie intake while providing little nutrient value. Those calories can stack up very quickly if you’re eating too many highly sweetened foods. If you’re consuming more calories than your body needs, the evidence will appear quickly in the form of added pounds. 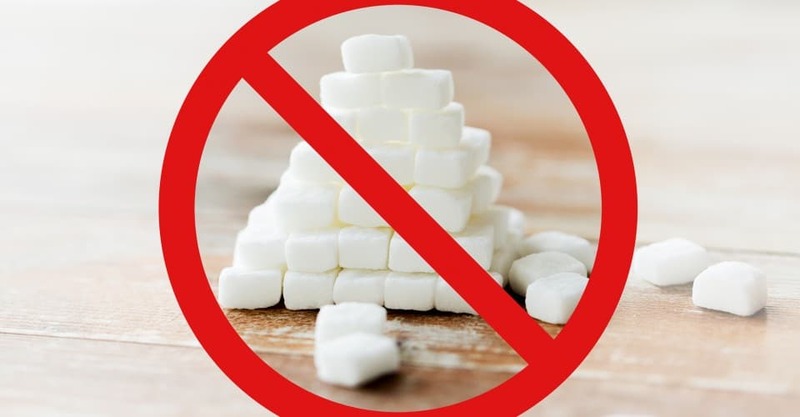 Here are 10 tips to help you avoid unwanted sugar. And while many sugars are found naturally in foods, such as milk, fruit, vegetables and grains, it’s the sugars added to many of the foods we eat (by food companies) that we have to watch out for. When you read the food label, here is what you should look out for: brown sugar, corn sweetener, corn syrup, dextrin, dextrose, glucose, fructose, high-fructose corn syrup, honey, invert sugar, lactose, maltodextrin, maltose, mannitol, molasses, natural sweeteners, polydextrose, raw sugar, sucrose, syrup, turbinado sugar and xylitol. Remember, regardless of the name, whether it’s honey (although there is some research that indicates honey can help with allergies and work as an antibiotic), brown sugar, raw sugar or maple syrup, all added sugar is essentially just calories without significant nutritional value. The one exception may be molasses, which is actually a fair source of potassium, calcium and iron. To track down the amount of sugar you’re consuming, read the nutrition label and look for the many different forms of sugar mentioned above. The “sugars” section includes those that are present naturally in the food (such as lactose in milk and fructose in fruit), as well as sugars added to the food during processing. If you’re interested in finding out whether a sweetener has been added, check the ingredients list for terms such as “sugar (sucrose),” “fructose,” “maltose,” “lactose,” “honey,” “syrup,” “corn syrup,” “high-fructose corn syrup,” “molasses” and “fruit juice concentrate.” If any of these sugars appears first or second, or if many of them are listed among the ingredients, it’s most likely a high-sugar food. Just so you have a reference point, 4 grams of sugar is approximately 1 teaspoon. 3. Are You STILL Blinded By Fat Phobia? If you’re too preoccupied with reading the number of fat grams on the food label, you may be missing the fact that many reduced-fat or fat-free products still carry a hefty number of calories. Additional sweeteners are often substituted for some of the fat that has been removed from these products. Sugar is part of a normal diet, but it should be in foods such as fruits and vegetables. So, you see, these ALL have sugar, but it’s a small amount, and vegetables contain natural (not added) fiber, which helps to slow the release of the sugar into your blood. Plus, green, leafy or cruciferous vegetables (cauliflower, broccoli, Brussels sprouts, kale, cabbage and bok choy) don’t have much sugar and are very healthy. Foods with a high GI value raise the body’s blood sugar very quickly, which signals a corresponding rapid release of insulin into the bloodstream; this quick rush of insulin then lowers blood sugar. High-GI foods include white bread, white potatoes, pasta, doughnuts and bagels, but also watermelon and carrots. Low-GI foods include most vegetables, low-fat yogurt, lentils and peanuts, but also whole milk and pound cake. When you consume carbohydrates there is a process that switches you from feeling famished to being fed. The problem is that foods with a high GI slow down the feeling that you’ve eaten and are full and, as a result, can cause hunger. Typically, foods that are high on the glycemic index are highly processed foods that have lots of processed sugar and little naturally occurring fiber. Bottom line: I’m not suggesting that you give up sweets altogether. However, I do suggest that you become more deliberate about your selection of sweet and gooey foods and drinks. Select sweets that offer more than just fast-acting carbohydrates if you can. When it comes to satiating your sweet tooth, there’s a good chance you only need a bite or two to feel satisfied. Ice cream is a great example — if you’re going to have it, stick to a ½-cup serving and you should be able to keep the calories under 200 while still satisfying your craving. If you don’t trust yourself to do your own scooping, buy individual servings so you won’t be tempted to eat more than your share. If you let yourself get too hungry, chances are the first foods you reach for will be high in sugar and fat and low in nutrients. Prevent this urge by eating meals filled with low-calorie vegetables. If you fill yourself up on the “good” stuff, you will be less likely to eat the “bad” stuff (e.g., foods with added sugar). There’s a pretty good chance that, with a little smart thinking, you can cut the sugar in most recipes by one-third, and the finished product will turn out fine (you probably won’t even notice the difference). Check out recipe sites such as eatingwell.com, cookinglight.com and allrecipes.com. Also, cinnamon, vanilla, nutmeg, anise and mint can add a sweet taste to foods without adding sugar or calories. United States Department of Agriculture: www.ams.usda.gov/AMSv1.0/getfile?dDocName=STELDEV3103620.